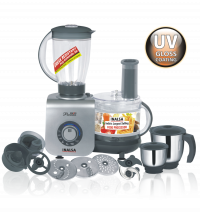 The Inalsa Food Processor Maxie Plus Shock Proof Plastic Body with Overload Protector and 4 Functional Disc Blades. 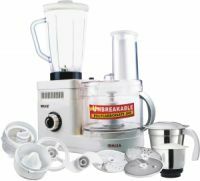 It has also comes with Accessories Storage Rack and Egg Whisker, Chopper & Atta Kneader. 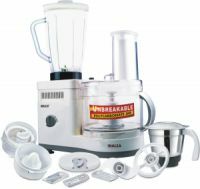 To Recieve updates and possible rewards for Inalsa Maxie Plus please sign in. 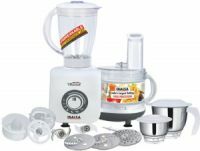 To Recieve updates and possible rewards for Food Processor please sign in.